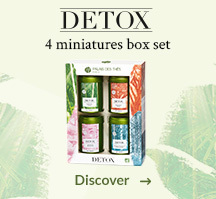 One of the two first organic box sets to savour and discover teas and herbal teas from the DETOX collection. In different parts of the world there are detoxifying ancestral practices that use well-known ingredients to purify the body. 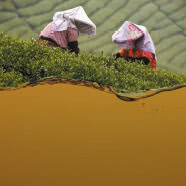 Our travels, in search of the best teas, allowed us to observe them. 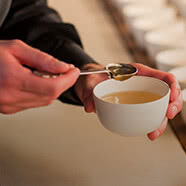 Drawing on these proven methods, Palais des Thés reveals 5 delicious recipes of Detox teas and infusions with specific powers. 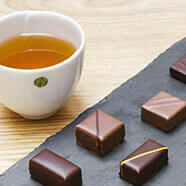 These teas and herbal teas can be enjoyed at any time of day. They have been created specially to suit your mood: hot, iced or in a cocktail. This 30 whole leaf tea bags box set gathers 5 organic DETOX recipes and a descriptive booklet of the recipes. Brazilian DETOX - Energy: organic blend combining the detox benefits and invigorating qualities of green tea, mate, açai, and guarana with the sweet-tart flavour of passion fruit. 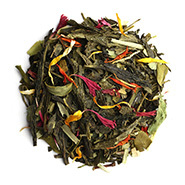 South African DETOX - Draining: organic blend combining the detox and draining benefits of 3 typical plants from this region — rooibos, honeybush, and moringa — with the sweet flavours of African mango. Japanese DETOX - Relaxation: organic recipe combining the detox benefits of Sencha green tea, spirulina, and buckwheat with soothing notes of nashi pear. 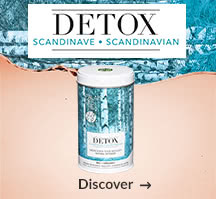 Scandinavian DETOX - Natural Defenses: organic herbal tea combining the detox benefits of birch with the antioxidant properties of Scandinavian berries for a protective effect on the body. Indian DETOX - Digestion: organic black tea combining the detox benefits of turmeric and lemon with a healing plant, holy basil. 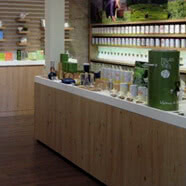 The ideal box set, to give or to keep, to enjoy the best of organic teas and infusions at home. These teas and herbal teas are made up of ingredients grown organically and have several organic certifications: AB label, EU certified organic food label, Ecocert organic certification, USDA Organic label. 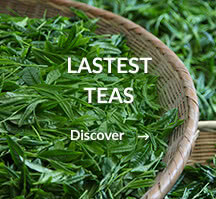 To go further: Which detox tea should you choose? 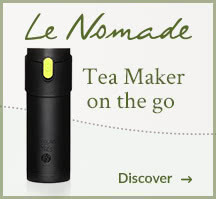 Organic blend combining green tea, mate, açai, guarana & passion fruit. 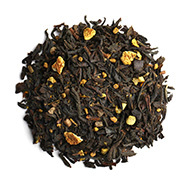 Organic blend of rooibos, honeybush, and moringa with the sweet flavours of African mango. 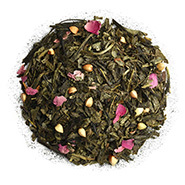 Organic blend of Sencha green tea, spirulina, and buckwheat with soothing notes of nashi pear. 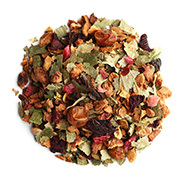 Organic herbal tea with Birch, sea buckthorn, cranberry & bilberry. 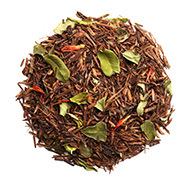 Organic black tea combining the detox benefits of turmeric and lemon with a healing plant, holy basil. Brazilian DETOX : Green tea* (China) (72%), maté* (Brazil) (15%), barley grass*, natural flavours (including passion fruit 3.5%), moringa*, açai* (1%), guarana* (1%), flower petals (safflower, cornflower*, marigold*). 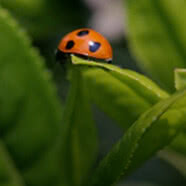 South-African DETOX : Rooibos* (South Africa) (86%), honeybush* (5%), moringa* (5%), natural mango flavour (4%), safflower petals. 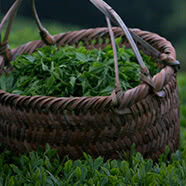 Japanese DETOX : Sencha green tea* (Japan, China) (75%), buckwheat* (15%), natural pear flavour (5%), spirulina* (3%), rose petals*. Scandinavian DETOX : Apple*, birch* (20%), beetroot*, sea buckthorn* (4%), elderflower*, cranberry* (2%), bilberry* (2%), natural flavours. 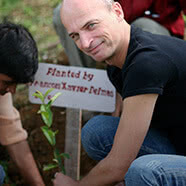 Indian DETOX : Black tea* (India) (72%), ginger*, holy basil* (5%), lemon peel* (5%), cardamom*, turmeric* (3%), orange peel*, natural flavour.